Thanks, glad you enjoyed both Matches 😉 Mercutio’s baby’s name/gender are deliberately left ambiguous, so I can be flexible if I want to write a story about him/her in future. As for the skin/eye replacements, please see the FAQ on my main blog [https://aldohyde.wordpress.com/2013/01/01/full-faq-sticky-intro/] for the links. However, I did not clone Ripp to be placed in the “2035 Neighborhood”, so I don’t have any pics of him and his illegitimate children. Rather than deliberately remaking these very minor characters, I’d rather focus on the next task at hand: creating the set and screenshots for the Alternate Universe story chapter, STM 2.06(D-AU). Can’t wait for 2.06(D-AU)!!!! Also, Sepp’s hair a custom content, isn’t it? And if it does, how did you installed it in your game because everytime I try to install clothes or hairstyles in my game, I fail! So I hope that you can help me, Aldo. Yes, Sepp Rossi’s hair is custom content. In the STM Football Alternate Universe, did Bella Goth recover her memories and find her family? Nice work with 2.06 (D-AU)! Pity Romeo and Juliet were killed, but not all chapters of a story must be happy. I hope that 2.07 will reveal more about Strangetown folks, but you decide. That mod which removed the numbers and plumbobs from the football uniforms is awsome (made by Neder from Mod The Sims). The link is on the FAQ page from the 2015 Match, but how did you use it? Did you applied it in Body Shop? 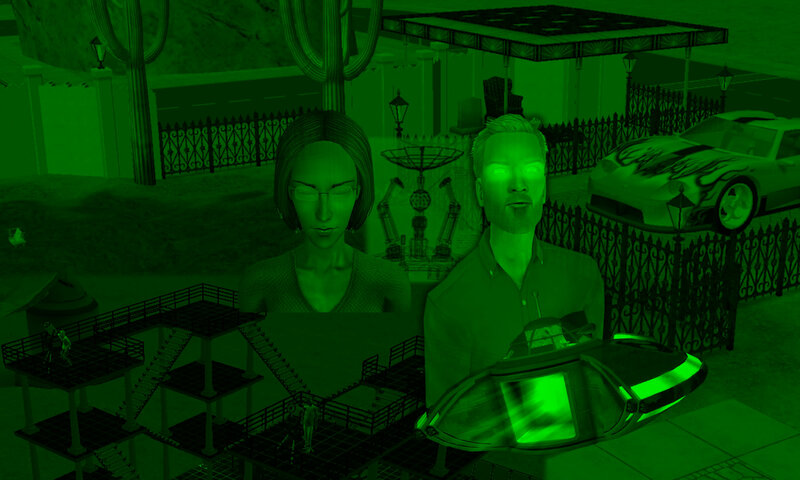 “Documents \ EA Games \ The Sims 2 Double Deluxe \ Downloads” . Remember, it’s the EA Games folder in your DOCUMENTS, *NOT* PROGRAM FILES. Have you ever considered recreating the whole Veronaville families in Sims 4 like you did in (or at least a part) Sims 3? I think they are very cool and it’s a shame that Maxis didn’t kept them as they did to the Goths. The biggest challenge of recreating premade sims is to replicate the default facial structures as closely as possible. I only had the patience to do this for my “Main 3” (Bianca, Kent, Antonio) in Sims 4. If I want any more of of these premades, I’d search through the Sims 4 Gallery for other users’ creations. Never mind if EA didn’t bother to bring the Montys and Capps back (yet) in Sims 4, as Monte Vista and Roaring Heights only appeared later in the Sims 3 franchise. Also, how can you expalin (storytelling speaking) the genetic glitches (aka age and gender mismatch) of the Nigmos and Capp (Caliban) couple, Melissa and Vicki Sims, Luc Smith, Lucy Mole etc. Why do they have a randomized appearence when their ghost shows up? These intentional glitches and mismatches are likely to show “examples of game corruption”. Storywise, this can be interpreted to be how Specter’s graveyard has the magical ability to either create illusions or to conjure changes that become new realities. The next STM marathon of 2.07 will be great as usual. The way you explained the glitches of Specter’s victims was awesome but how can you explain the randomized appearence of Caliban Capp? Also, some one asked about Bianca’s 2035-2036 house’s windows (why are they open on the first floor but closed on the second); storytelling speaking, burglars would enter the house very easily. We know that it may represents something about Bianca’s mind but what exactly? In STM’s recent episodes, the windows are shut. The STM Analysis article “Bianca’s Windows and the Apparition” explains the significance. I’m not sure about Caliban Capp or any other (non-victim of Specter) who has the Broken Face Template, because I didn’t include them when I was conceptualizing for the story.